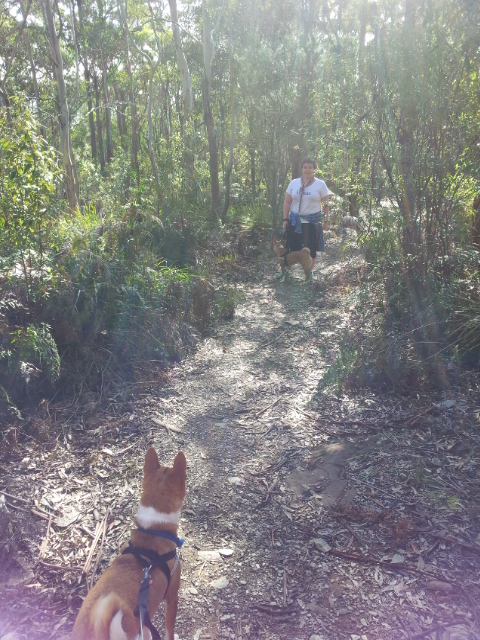 It had been a while since we’d taken the dogs bush walking so one weekday we spontaneously decided to go for a hike at Mount Direction, about 20 minutes from Launceston, with Levis, Rune and Isabella. It was a beautiful sunny day and there were many new smells for the dogs to get their noses into. Isabella proved she could be a good girl (most of the time) and was allowed walk off-lead once we were into the bush and well away from the road. She stuck to the path and the boys did their best not to be jealous of her freedom. Maybe one day…oh, who am I kidding! The pay off at the top of the mountain was an historic semaphore used in the early 1800’s and the remains of the caretakers building. The rooms were tiny and the rock really held in the cold. 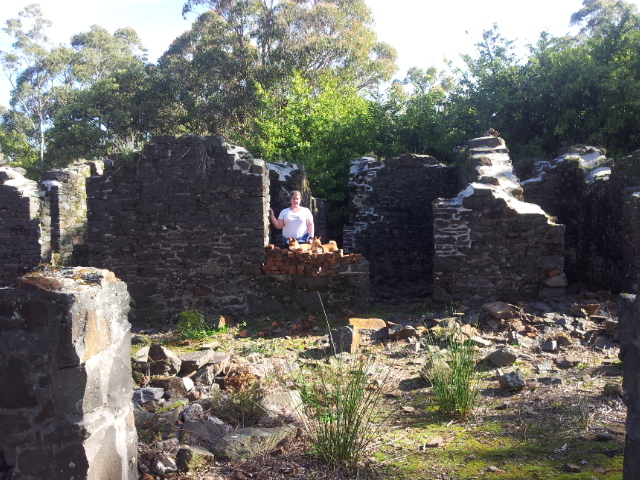 We all had fun climbing and exploring through the ruins and imagining what life would have been like in those early days of Tasmania’s settlement. 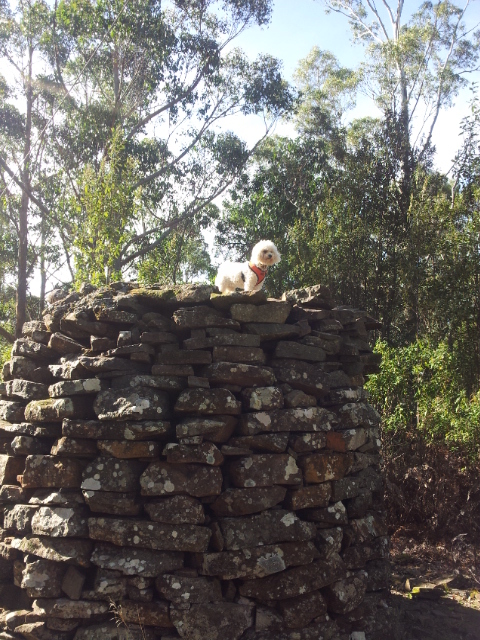 And this is my little Isabella, standing on a cairn at the top of Mount Direction; brave and adventurous as usual. 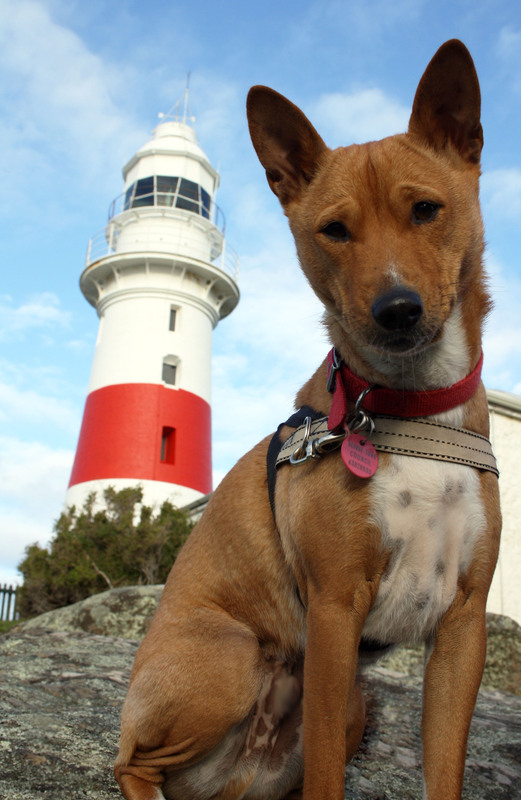 On our next trip we took a little drive to Low Head to see the historic lighthouse and walk along East Beach. I think East Beach will be our new local hangout as it is dog friendly, calm and just plain gorgeous. Photos to come of East Beach soon but here are a couple from the Lighthouse and looking out over the Tamar River, where it meets Bass Strait. 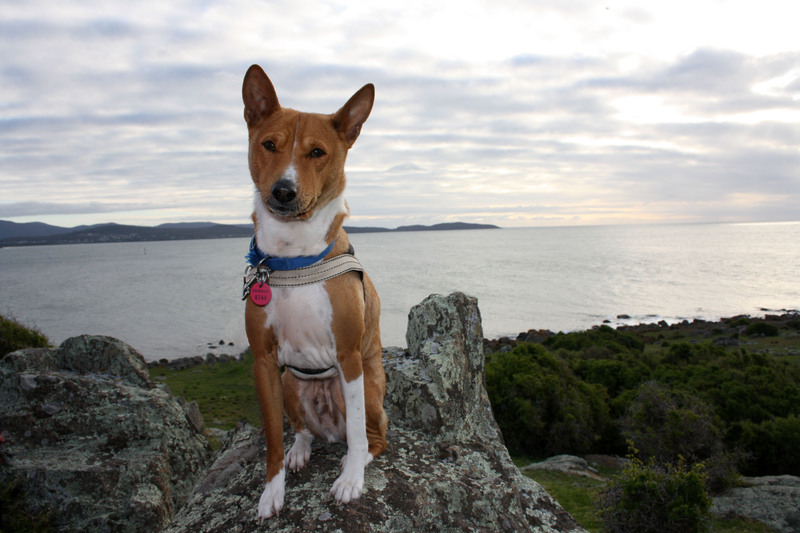 From Tasmania to Queensland – Basenjis All the Way!